Vid. G.N. 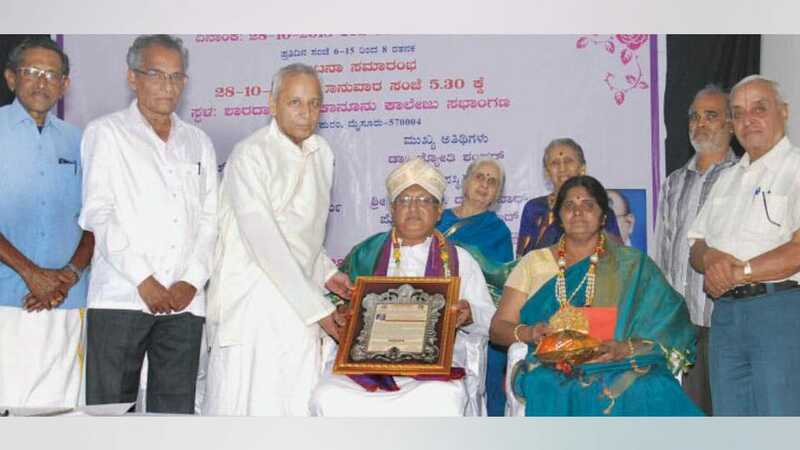 Bhatta was conferred ‘Pravachana Bhaskara’ title at the valedictory function of the week-long discourse on Ramayana organised by Sanathana Sabha in city recently. Seen in the picture are N.S. Dwarakanath, Prof. S. Shivaji Jois, Dr. H.V. Nagaraja Rao, Vid. Bhatta and Geetha Bhatta, Rama, Kalyani, M. Muttuswamy and Prof. S. Ramaprasad.